Like any one else we have cracks ... and sometimes one of our regular features falls though said crack. Consider a 2014 item patched and “Done Right” as if Holmes on Holmes had fixed it. We neglected to post our yearly look at which team had the best year getting players drafted. Now, June of 2014 was not a banner year ... with 17 players drafted and three free agents signed. It was the lowest total since 1991 when Canadian high schoolers were made eligible for the draft. There were a number of contributing factor: a down year, players asking for amounts greater than clubs were willing to pay thereby heading to school and the second June in which the draft was reduced to 40 rounds (an average of eight Canucks were selected in rounds 41-to-50 the previous five years when the draft was 50 rounds). Once again the Ontario Blue Jays, coached by Danny Bleiwas, sat atop the pile with seven current players or alumni drafted. It was the fourth consecutive year they were top dogs come the three-day draft sessions. The Langley Blaze/Arizona Diamondbacks scout team coached by Doug Mathieson and Jamie Bodolay had three players. Actually, the Diamondbacks team which travelled to Arizona had nine players drafted, when you count six pick-ups for the trip to the desert. Last year the Ontario Blue Jays led with six players selected. In 2012, the Ontario Blue Jays led with seven players selected. In 2011 the Ontario Terriers and the Ontario Blue Jays shared the lead with four players drafted or signed. 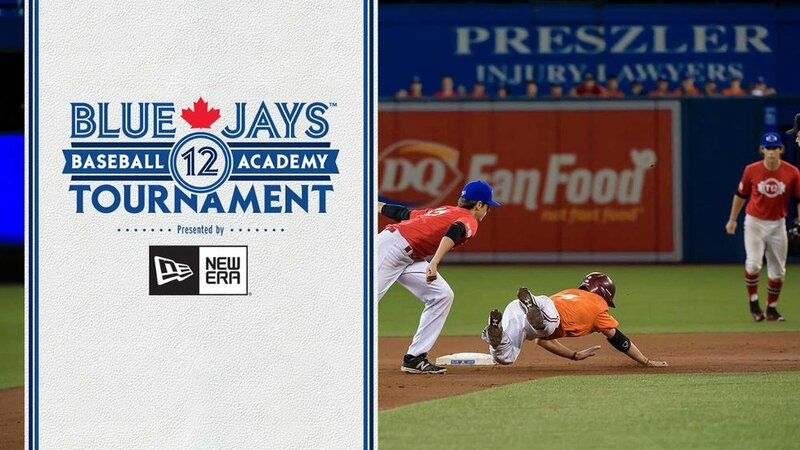 The Academy Baseball Canada and the Toronto Mets shared top honours in 2010 with each program having four players selected. The Langley Blaze and Alberta-based Vauxhall Academy were the most productive in 2009 with six apiece. The Ontario Blue Jays had most in 2008 with six, edging the Blaze by one. The top 10 list over the last six years shows the Ontario Blue Jays with 34 players drafted. Mariners, 2nd OF Gareth Morgan (North York, Ont.) Ontario Blue Jays. Blue Jays 10th RHP Jordan Romano (Markham, Ont.) Oral Roberts. Reds 22nd INF Robert Byckowski (Etobicoke, Ont.) Ontario Blue Jays. Blue Jays 23rd RHP Zachary Pop (Brampton, Ont.) Ontario Blue Jays. A’s 35th OF Austen Swift (Etobicoke, Ont.) Ontario Blue Jays. 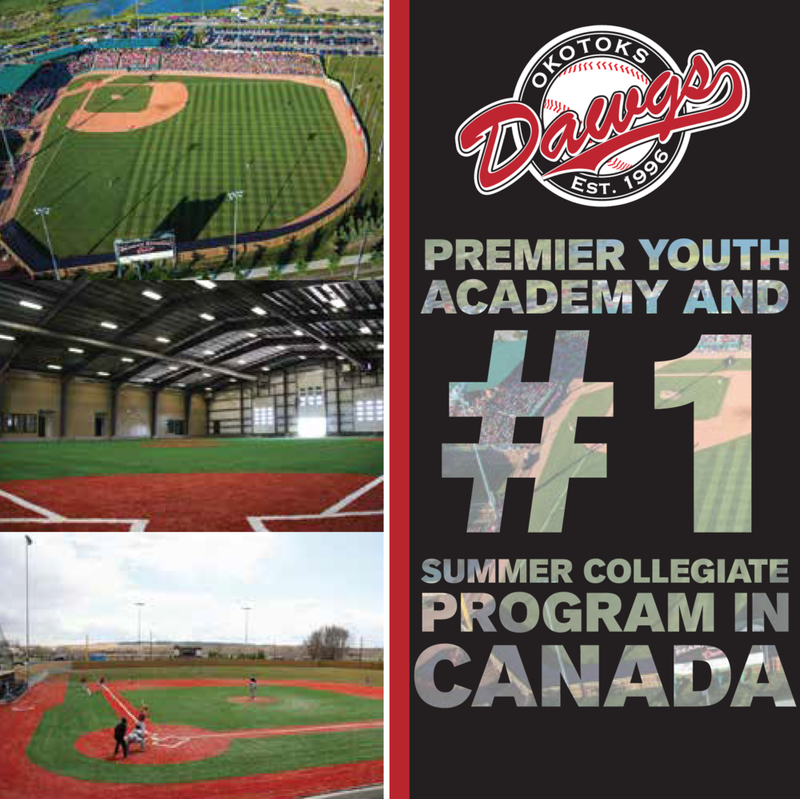 Okotoks Dawgs coached by AJ Fystro, Vince Ircandia, Frank Ingram, Allen Cox and Brandon Newell. Toronto Mets, coached by Ryan McBride. North Delta Blue Jays, coached by Jerry White. North York Blues, coach by Dennis Bailey. Academy Baseball Canada coached by Joel Landry. Central Arizona College, coached by Jon Wente. Howard Hawks coached by Britt Smith. Lewis-Clark State Warriors coached by Jeremiah Robbins. Midland Chaparalls coached by David Coleman. Northern Kentucky, coached by Todd Asalon. Oral Roberts coached by Ryan Folmar. Urbana lue Knights, coached by Mike Goldschmidt. Vancouver Island Baseball Institute Mariners, coached by Jordan Blundell. Wake Forest Demon Deacons coached by Tom Walter. West Virginia Mountaineers, coached by Randy Mazey.